Regain independence with a walking aid that comes packed with features. 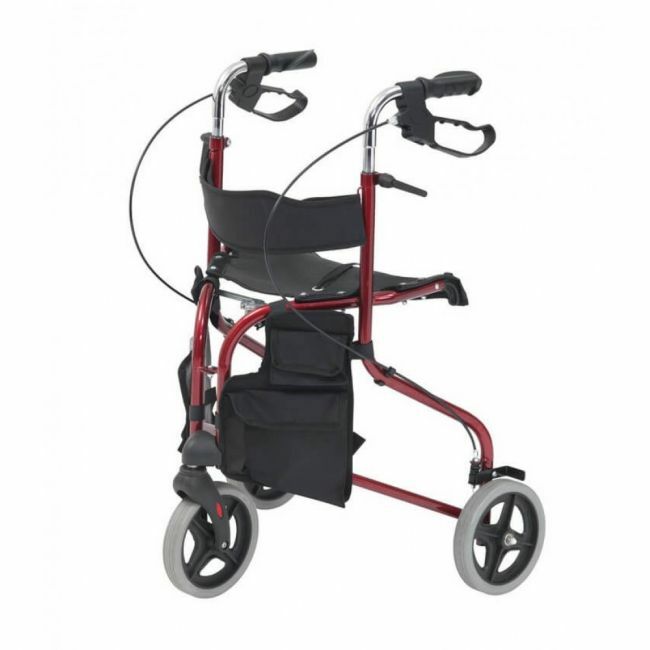 The tri walker with seat is the ideal walking frame for anyone who suffers with limited mobility. Designed with three wheels to navigate shops and busy pavements with ease, users will also benefit from a generous vinyl storage bag. The arthritic friendly looped cable brakes can be easily activated by the user to remain firmly in control.